Why does Otitis Media occur? 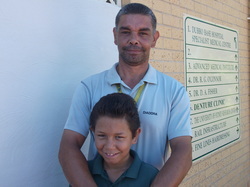 Read about how Ron helped his son Wade to overcome his Otis Media through Hear our Heart. 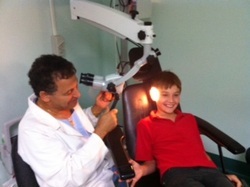 Read about how Jake's parents helped him overcome his hearing problems. Read about Rachel's journey with her son Sam as they learn about Otis Media and help Sam. Read Angela's Story, we hope it inspires you to spread the word about regular hearing testing along with how worthwhile our Project is. Read Rowena's story. She struggled with 4 children with hearing problems before the Hear our Heart Bus.